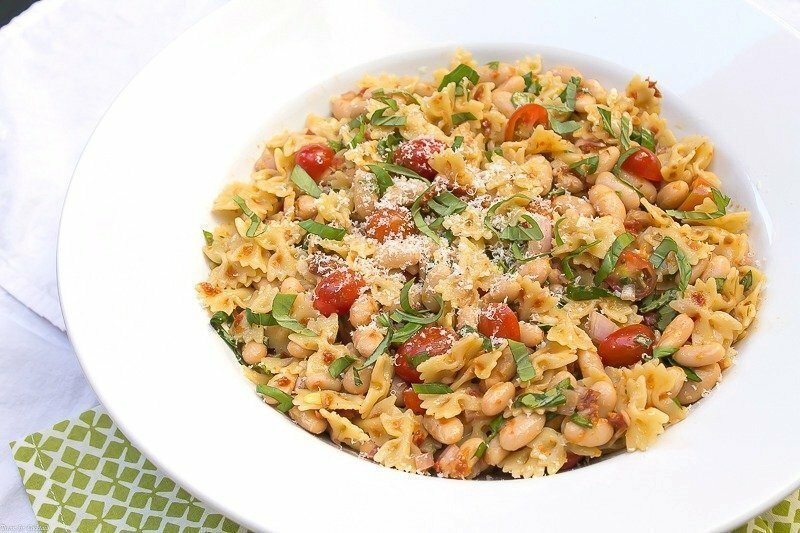 Tuscan Pasta Salad has creamy white beans, fresh grape tomatoes, fragrant basil and al dente pasta in a sun-dried tomato vinaigrette. After days and days of being sick it was nice to feel well enough to finally get back into the casa kitchen this weekend. 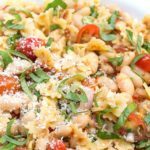 Sunday after the farmers market I whipped up this easy, delicious Tuscan Pasta Salad for lunch that Paul and I enjoyed with a glass of wine on the patio. 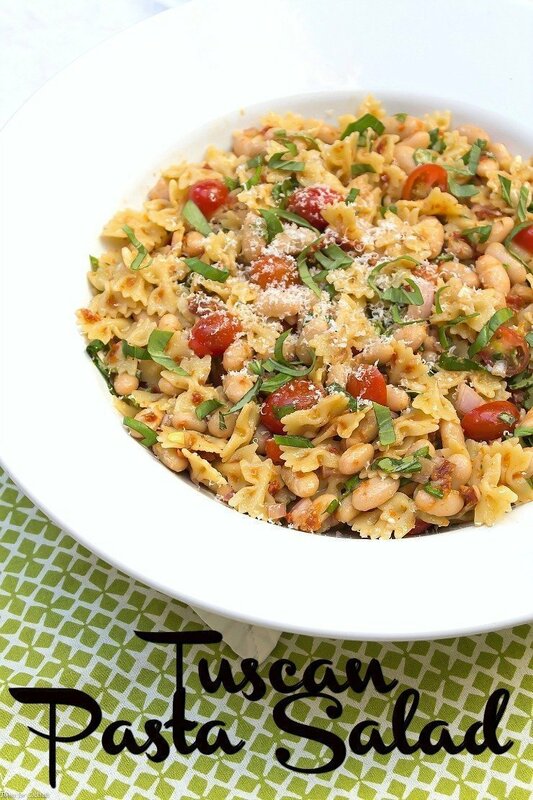 [bctt tweet=”Tuscan Pasta Salad #spring #pasta #salad #lunch”] It’s Spring Break this week which really puts me in the mood for lighter dishes. Pasta salads are my go-to for lunch this time of year and I really love how versatile they can be. You can add so many yummy veggies and add-ins to customize them. I rarely make mayo-based dressings for them, instead keeping it light with vinaigrettes and using Greek yogurt or sour cream for creamy dressings. My Fiesta Macaroni Salad is always a hit and has the best southwest sour cream dressing! Italian style sun-dried tomatoes packed in oil are a great vinaigrette base. I combined them with white balsamic vinegar which is a little milder than traditional balsamic. Lots of fresh herbs is another way to spruce up your pasta salad. 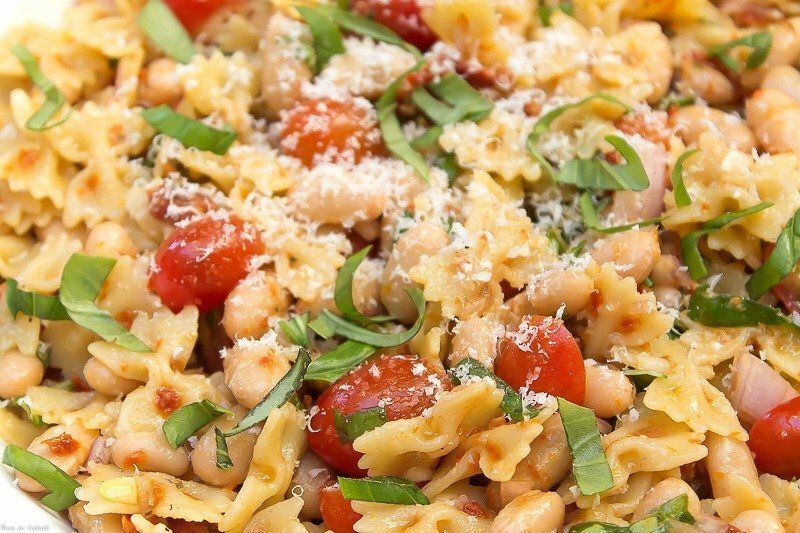 The fresh basil in this Tuscan Pasta Salad really makes it pop! It is the perfect pairing with the sun-dried tomato vinaigrette. Freshly grated parmesan cheese finishes off the pasta salad and adds a little saltiness. Asiago or Romano cheese would also work really well too! Prepared pasta according to package directions, drain and set aside to cool. Add sun-dried tomatoes to a food processor and pulse to chop. Add vinegar, lemon juice and oil, pulse to combine. Salt and pepper to taste. 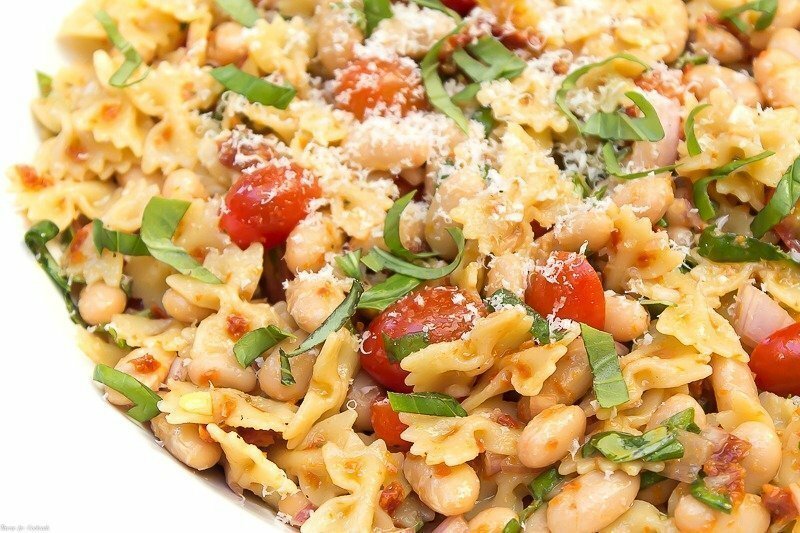 Toss pasta, beans, tomatoes, shallot and basil with vinaigrette. Garnish with grated parmesan cheese. Serve room temperature or chilled. This salad looks divine, would love to dive right in, perfect for anytime of the year!! 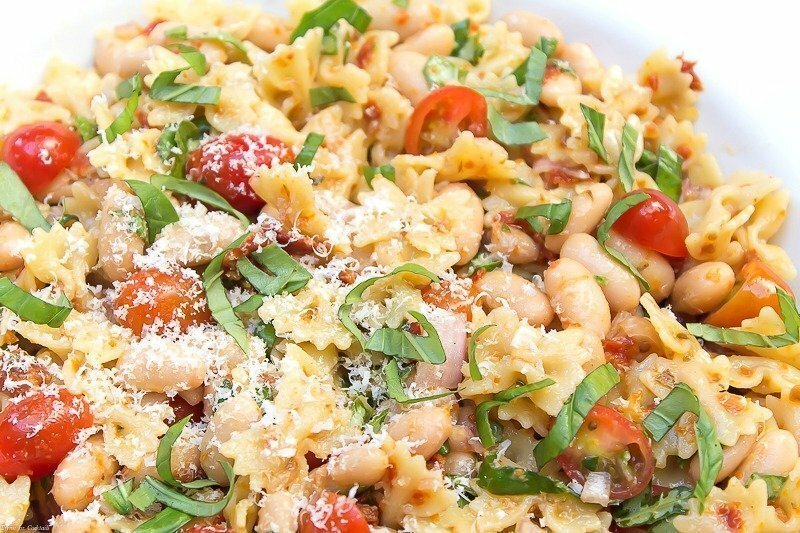 Love the look of this pasta salad. Such good ingredients and so hearty.